Thank-you for Your Oxjam Surport & Onward into 2016! My Friends Brian and Viv from Mansfield! Once again I’d like to begin my blog this evening by thanking all of you who came along to support Paul and I who sang for Oxjam on Tuesday. We sang 20 minutes on 20 minutes off all through the day for donations and we were able to raise £173.25 for Oxfam so thank-you every-one for your wonderful support. 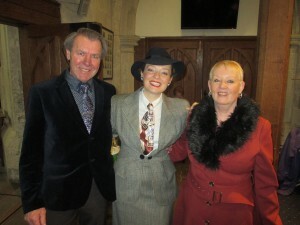 I know some of you had travelled quite away to see us including Brian and Viv who had driven down from Mansfield especialy for the show. So thank-you every-one it was lovely to see so many familiar faces in the audience and I’m so pleased you all enjoyed our singing. Paul and I Singing for Oxjam! 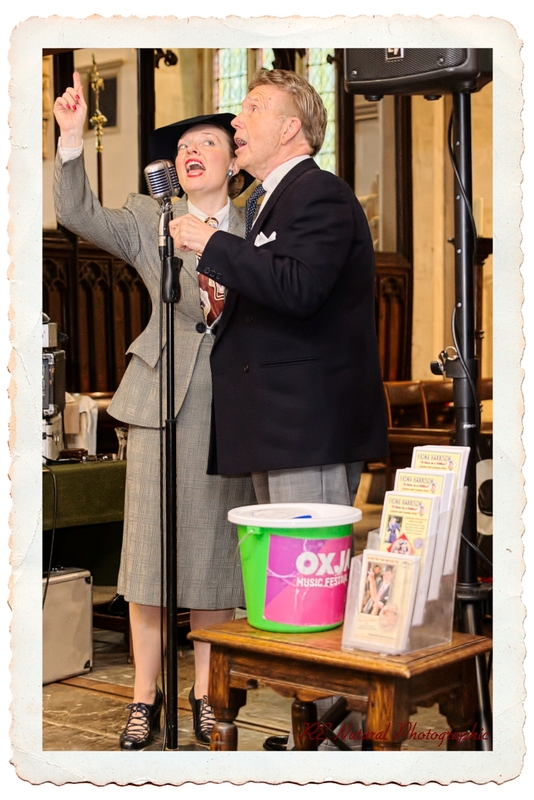 My next public performance will be on the 9th 10th April when Paul and I will be on stage at The Lincolnsfield Childrens Centre, Bushey Hall Drive, Bushey, Herts, for The 1940s Family Experience so I hope you will be all be able to make it along. I shall be performing 3 x 45 minute shows daily and also at the Saturday night dance. I will have more details on that later on but don’t forget you can also catch me on stage at Ollie Vees in Leighton Buzzard performing a Music Hall Show “The Good Old Days” on the 16th April. Doors open at 8pm and Tickets are £10 each which can be obtained by ringing Ollie Vees on 01525 851726. 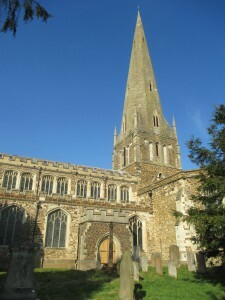 All Saints Church, Leighton Buzzard! going. Speaking of which I was having a word with Rachel my web designer the other day and we’ve now got to a point where we are going to have to start archiving some of my older blogs. 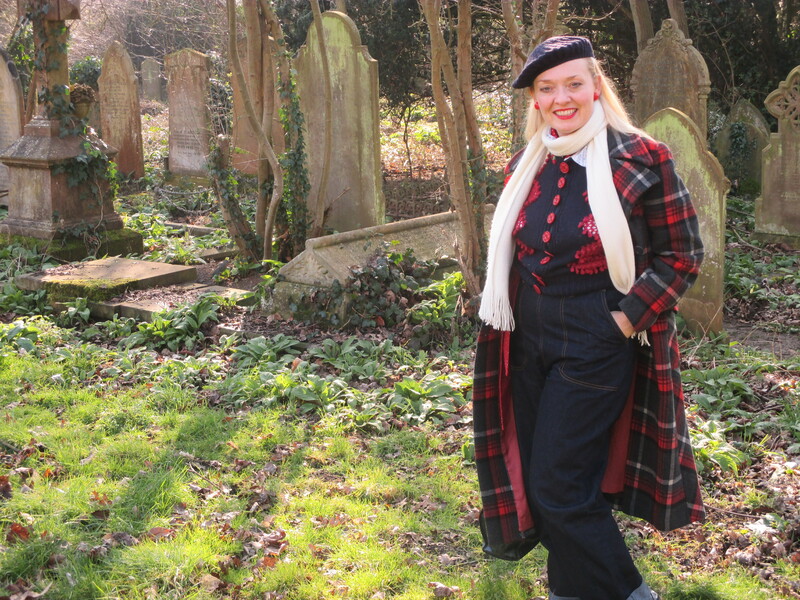 Some of you may have noticed we are having a few problems with my news feeds on my home and media pages so we need to do a bit of archiving so my blogs can run freely. I first started writing my blog in March 2012 and I now have over 800 entries which is slowing down my web-site. It seems I’m one of those rare excentrics who actachaly kept it up and I’m pleased to say I now have quite a following. It’s a great way of me keeping in touch with you all and I can only thank you for your continued support. It’s lovely to hear when I’m at events just how many of you follow my blog so do keep watching and I shall keep you posted. I have a lot to do and write about this year. Apart from my blog I know quite a few of you like to track me in photos through my facebook pages. 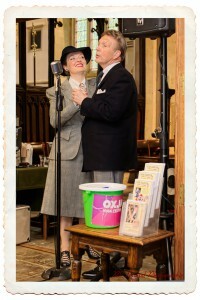 A big thank-you to Robert Etsell who took some lovely photos of Paul and I which you can view on my facebook pages. It’s easy to forget just how important social media is now and sometimes I’m not sure if every event organiser understands just what a difference good photos can make. It’s important events get recorded. You can often judge just how succesful an event has been by its social media follow-up. So many 1940s events are folding. Times and tastes are changing and if the organisers get it wrong then the public lose interest and stop recording it which in turn means they stop coming. 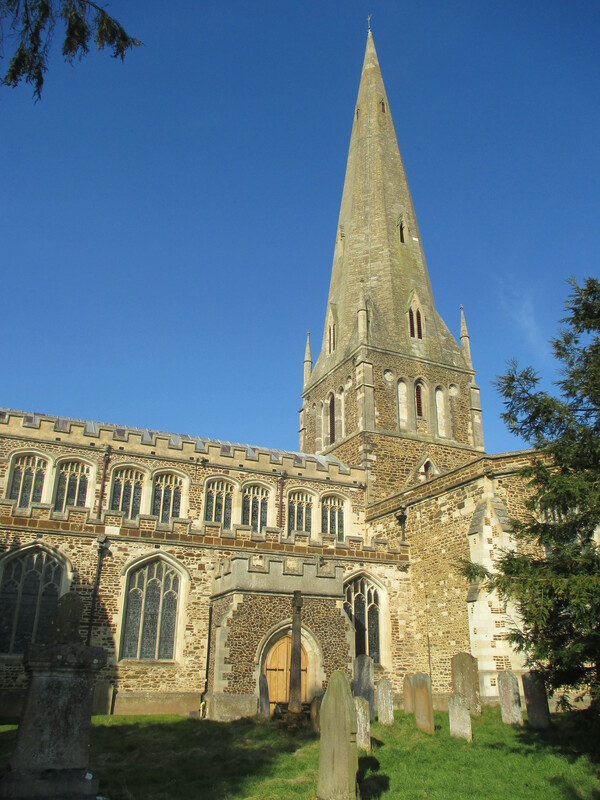 Enjoying the Spring Sunshine at All Saints Church! 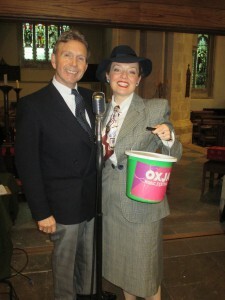 To-day I popped down to All Saints Church for lunch to thank every-one who helped with Oxjam. The weather was delightful so lets hope Spring really has arrived. Tomorrow I’m performing in High Wycombe a WAAF show so I’ve been busy tonight polishing my brasses. Next week I start on my Easter Bonnet shows from Wednesday and I have shows every day for the next three weeks. I also have to fit in some time to see Richard in the recording studio as I get set for the Queens 90th Birthday Celebrations. I hope it wont be long now before I can show you the finished cut of my 1950s 60s show reel. We have two little gremlins which need to be sorted first so keep watching. I must go now. Thankyou for following and Toodle Pip!